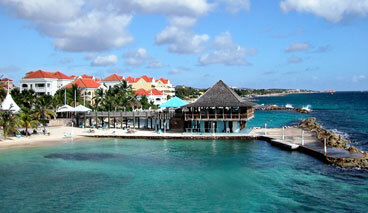 Curacao was one of the first jurisdictions that regulated online gaming. It has a special EU status as being an Overseas Country and Territory of the Netherlands. The Netherlands Antilles Online Gaming legislation was first created in 1993. The Curacao Gaming Commission is strongly associated with the government of Netherlands Antilles and it is one of the most well respected regulators for online casino services in the industry. Curacao has been providing Curacao online gaming licenses since 1996. The Curacao Department of Justice has designated the Curacao e-Gaming Licensing Authority to be the main licensing authority in Curacao. Curacao offers one type of license that covers all games of skill, chance and sportsbetting as well as software providers and product operators. The company must have its physical primary operating servers operating outside Curacao. As a minimum, player information, game logic and financial transactions must be operated on computer hardware situated within the Curacao e-zone. The Curacao e-Gaming Licensing Authority provides a large range of services, including the management of gaming licenses, hosting and IT infrastructure. This reduces points for potential problems and makes it highly attractive for operators. The advocate and information clearing house of the Curacao Gaming Commission is known as the Curacao Internet Gaming Association (CIGA). CIGA was established in 2001 and it currently controls approximately 30 online gaming operators. CIGA is also a member of the Interactive Gaming Council (IGC) and so it is bound by the code of conduct of that organization. CIGA is dedicated entirely to internet gaming in Curacao. The CIGA strives to work on behalf of its members to represent them to local government and to provide a planning and coordinating voice for legislative, policy, legal and communication efforts for the members. They ensure that their members comply with licensing requirements and conform to a code of conduct. To maintain a full audit trail of individual wagers and financial transactions for every depositing player. To avoid and prevent the creation and spreading of false, misleading and otherwise unethical advertising and marketing. To refuse any and all wagers from anyone under the age of 18 years or residents of the Netherlands Antilles. To make all gaming systems, including backend software logs available to independent, third party auditors and within a reasonable amount of time. To maintain minimum financial resources for the paying of any and all player winnings. To assist with the development of consumer confidence and customer service standards within the online gambling sector.